Sarah Arthur is a particularly nuanced author. A graduate of both Wheaton College and Duke Divinity School, she has published books on a wide range of topics, from the literary devotional Walking with Frodo to the polemic memoir The Year of Small Things. Arthur’s work contains a curious mixture of intellectual reflection on the one hand and social advocacy on the other. To Arthur, action and contemplation are all of a piece. It is altogether natural that such an author would produce her latest offering, A Light So Lovely: A Spiritual Biography of Madeleine L’Engle. Like Arthur herself, Madeleine L’Engle was both an advocate and an intellectual, an artisan and a contemplative. To commemorate L’Engle’s birthday, which was November 29th, we chatted with Sarah about the legacy of this giant of the Christian imagination. Sarah, I read A Light So Lovely with gratitude. Though the book is an account of Madeleine L’Engle’s life and work, its scope is wider than one woman’s spiritual and artistic journey. It is a book in homage to the redeemed Christian imagination. This is a subject of immense significance in what many consider a deeply impoverished cultural moment. Did you set out to tackle this subject or did that aspect of the book evolve? The redeemed Christian imagination has been my signature theme for over twenty years, both as a youth worker and as a writer who explores the role of imagination in spiritual formation. I’m intensely interested in how stories—particularly enduring fiction—shape us to love and value certain things (for better or worse), and how it behooves us as Christians to intentionally nurture the imagination through great stories that help children and teens, in particular, to name sin as sin and to embody the Christian virtues. So it’s natural that that theme would emerge in my writing about Madeleine L’Engle. What surprised me, as I returned to her works like Walking on Water: Reflections on Faith and Art and The Rock That Is Higher: Story as Truth, was just how great a debt I owed to Madeleine for first planting the seeds of those ideas in me. I realized it was hard to tell where her influence leaves off and my own thinking begins. Why does the Christian imagination matter? C.S. Lewis called the imagination “the organ of meaning” while he called reason the “organ of truth”: both are a function of the intellect and both require nourishment in order to develop a kind of intellectual muscle. And without both, I think, we have a significantly underdeveloped or lopsided faith. Imagination, in particular, is essential to visualizing and grasping the world of Scripture, to engaging a God who is invisible, to becoming fluent in metaphor (without which we are confounded by things like parables), to participating in the sacraments, all of which transcend the realm of reason or provable fact. It’s even hard to practice intercessory prayer without imagining our friend or loved one flourishing rather than suffering, without embracing a God-sized vision for what’s possible. Our ability to do those things is largely shaped by the stories we have imbibed and inhabited and embodied and even enacted in practices like Christian worship. A Light So Lovely is available now. How is reading Madeleine L’Engle’s work a redemptive act for the Christian imagination in our time? Madeleine inhabited various worlds that are generally considered incompatible: secular and sacred, science and faith, art and religion, etc. She refused to be held hostage to popular dichotomies that pit these things against each other, because when we buy into that binary thinking we end up constantly telling the world what God can’t do. By contrast, she insisted that the mysteries and wonders of science, for instance, expand rather than undermine our understanding of God. Meanwhile, God is no respecter of persons when it comes to the giving of artistic gifts: the atheist next door may be writing a work of literature that surpasses anything by any Christian ever; and who are we to say God isn’t at work in and through that tremendous gift, in spite of the artist’s religious convictions? Reading Madeleine challenges us to imagine what God can do. 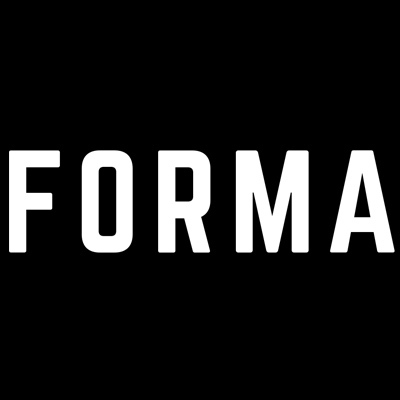 At FORMA, we are interested in engaging in contemporary culture through a classical lens. In your book, you elaborate on similarities and differences between the works of C.S. Lewis and Madeleine L’Engle. One difference you explore is that Lewis was an unabashed Medievalist whose stated goal was to invite readers to return to traditional morality and aesthetics, while L’Engle was more revolutionary. L’Engle’s fiction often disrupted readers’ preconceptions about science, faith, mystery, gender roles, and spiritual dogmas. Can these two divergent perspectives on art and faith be reconciled? If so, how? I’m not sure I would call L’Engle “revolutionary”—she was actually a mixture of liberal and conservative when it came to social issues. I don’t know what she thought of Lewis’s notions of a “Christian society” in Mere Christianity, for instance, particularly his thoughts on marriage roles. I imagine she would’ve laughed, maybe scoffed, or maybe schooled him on the idea that a woman’s vocation is not merely to please/support a man but rather to fulfill worthy work that God created her to do, irrespective of her gender or marital status. In any case, Madeleine definitely set out to disrupt her readers’ assumptions about God, about the Bible, and about who is welcome in the family of faith. One particular idea against which she fought virulently was the notion that God was so angry about sin that he took it out on Jesus—which to her sounded dangerously like the heresy that what Christ came to save us from was God the Father. But it was classic writers like Julian of Norwich and George MacDonald who taught her about the deep, fatherly love of God that is greater than all our sin. And of course MacDonald powerfully influenced Lewis too. So maybe it’s not so much about reconciling divergent perspectives between authors like Lewis and L’Engle but rather tracking their sources back and back until we discover where their paths actually crossed. For those of us steeped in the classical tradition, what does Madeleine L’Engle offer that we may need? Madeleine, too, was steeped in the classical tradition, and after she became a Christian she read widely from the patristics and the medieval mystics, among others. But when it came to her own spiritual crisis in early midlife, before she became a deeply devoted Anglican-Episcopalian, it was the writings of scientists—of particle theorists like Albert Einstein and Max Planck, and astrophysicists like Arthur Eddington—that helped to convert her. It was their work that convinced her that the Mind behind the intricate dance of the universe, from the tiniest particles to the farthest flung galaxies, must be deeply invested in our human lives. That God would choose this dusty little planet to become incarnate in a particular human life, in Jesus of Nazareth, spoke of his relentless, tremendous, eternal love for each individual person. So Madeleine was, in a way, fearless. If, as the Apostle Paul insists, nothing can separate us from the love of God in Christ, then why fear what seems alien or strange, whether in science or, say, in contemporary literature? We often run the risk of confusing the eternal virtues of God with our own personal cultural norms, and those are not the same thing. In your opinion, what legacy will Madeleine L’Engle’s body of work have in the literary canon? More than anything, I think we’ll remember her fearlessness about naming evil as evil. She didn’t portray the battle between light and darkness as some complicated misunderstanding or an imbalance that needs to be recalibrated: it’s war. Her fiction is absolutely unblinking about this: her child characters square off against demonic projections that seek to annihilate, and they know what they face is evil. And the children don’t win by force or violence. Only by becoming vulnerable in the critical moment, by giving themselves unselfishly and trusting in the deep power of God’s love that upholds the universe, only then are the children victorious. I can think of very few authors who paint this sort of stark contrast in children’s literature between good and evil.